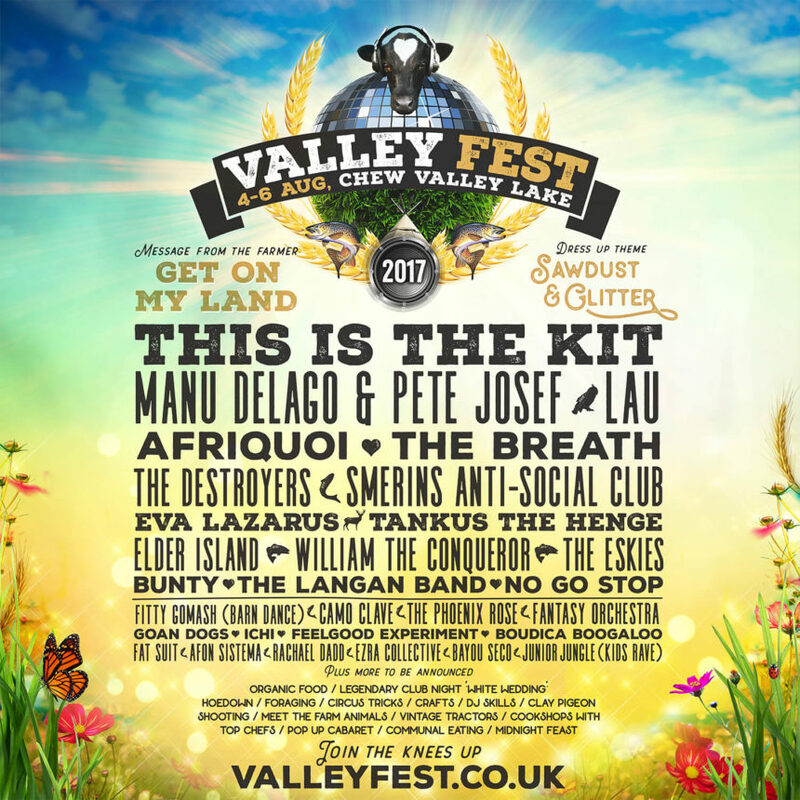 First acts announced for Valley Fest 2017! Home / News / First acts announced for Valley Fest 2017! Be surprised by experimental Japanese performance art with ICHI, and wowed by a psychedelic orchestra with The Fantasy Orchestra. Enjoy slick pop songs from BBC Introducing and Guy Garvey favourite, Goan Dogs, and travel back in time to the American Southwest with Bayou Seco. Listen to Manu Delago playing a UFO-like hand-played sound sculpture accompanied by the soulful tones of Pete Josef. Experience a fusion of traditional African instruments with electronic music, drawing on house, soca, hiphop, soul and jungle from Afriquoi. Have your breath taken away by Irish folk inspired soundscapes from ex Cinematic Orchestra’s Stuart McCallum’s band The Breath. And be entertained by a plethora of bands who will make you dance so hard you’ll forget what day it is, possibly even what year. A good ol’ hoedown is also planned for the Saturday, with Bristol barn-stormers Fitty Gomash leading a barn dance. The theme is Glitter & Sawdust and festival goers are encouraged to go all out with the fancy dress. And Friday night will feature the return, for one night only, of legendary London club night ‘White Wedding’. People are invited to don their most garish wedding outfits; bride, groom, bridesmaids, vicars, crazy old aunt – and join us for our kitsch reception with special guest DJ spinning classic wedding dance floor tunes. 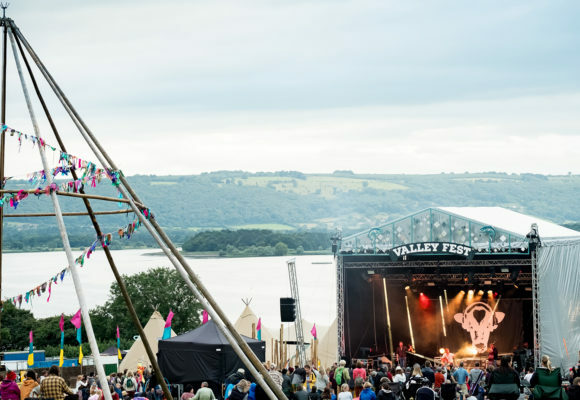 This year Valley Fest announced that the food on offer at the festival will be organic, making it the only organic festival in the UK. Alongside the organic food stalls, people can also delight in enjoying food together with the Midnight Feast and Sunday Picnic gatherings – the recipe is simple; just buy a perfectly packaged box of scrumptious treats, and sit down to enjoy it with hundreds of other people. The festival is also the perfect place for kids to run wild as well as the ‘adults’, and there is all sorts on offer for them. Junior Jungle will be bringing massive raves for little ravers. Kids absolutely love these, as the guys say ‘Ragga-Jungle is dance floor catnip to small children.’ Turn it up and watch them go! And Bristolian percussion group Afon Sistema will be leading the Sunday carnival parade – fusing percussion from North-East Brazil with rhythms from around the world. They can also hone their DJ skills and circus skills, and get mucky with plenty of arts and crafts. They can even get to know the farm animals and the farming way of life in the Hogsnorts Farming Academy. And there’s still more to come!! JOIN US FOR A SPRING FLINGJoin the volunteer team and help spread the sparkle!